With a fresh take on social dynamics in the antebellum South, Jonathan Daniel Wells contests the popular idea that the Old South was a region of essentially two classes (planters and slaves) until after the Civil War. 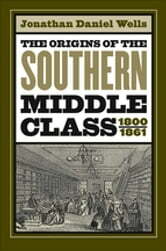 He argues that, in fact, the region had a burgeoning white middle class--including merchants, doctors, and teachers--that had a profound impact on southern culture, the debate over slavery, and the coming of the Civil War. 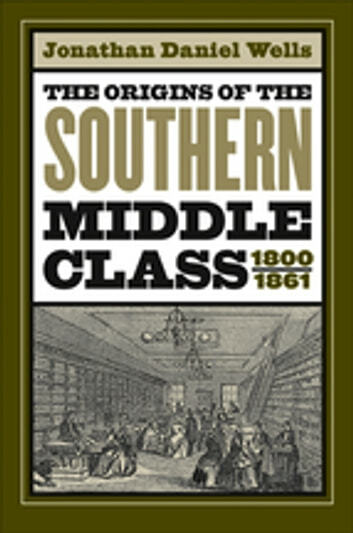 Wells shows that the growth of the periodical press after 1820 helped build a cultural bridge between the North and the South, and the emerging southern middle class seized upon northern middle-class ideas about gender roles and reform, politics, and the virtues of modernization. Even as it sought to emulate northern progress, however, the southern middle class never abandoned its attachment to slavery. By the 1850s, Wells argues, the prospect of industrial slavery in the South threatened northern capital and labor, causing sectional relations to shift from cooperative to competitive. Rather than simply pitting a backward, slave-labor, agrarian South against a progressive, free-labor, industrial North, Wells argues that the Civil War reflected a more complex interplay of economic and cultural values.